April is National Safe Digging Month and as the spring arrives so does construction season. Whether you’re planning small construction for home improvement or major construction, such as home additions or adding a building structure to your property, safety must be your first priority. 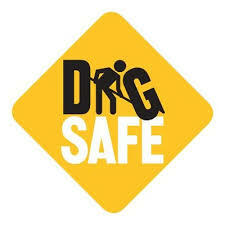 Since this time a year is peak home improvement and tree planting season now is the best time to review digging safety tips to minimize your exposure and reduce accidents involving natural gas pipelines or other buried safety hazards.